Pumpkin spiced latte season is officially over which is completely fine with me, but you can still take your face beyond basic with the power of pumpkin enzymes (p.s. they aren’t even in that latte). Peter Lamas, whose work as a hair and makeup artist is far from basic (hello, Vogue), changed course to create his own line of botanical cosmeceuticals with organic extracts (and always 100% vegan). 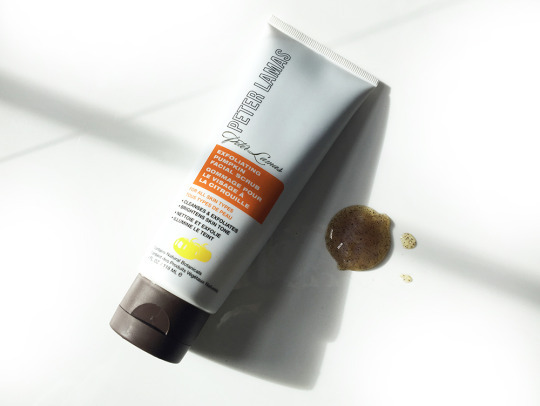 Peter’s exfoliating pumpkin facial scrub with a blend of pumpkin oil, aloe vera & vitamin E. It smells yums and is gentle enough for every day use. We love that it has a unisex vibe that is totally stealable by him or her, because exfoliating majorly benefits guys, especially those prone to ingrowns.